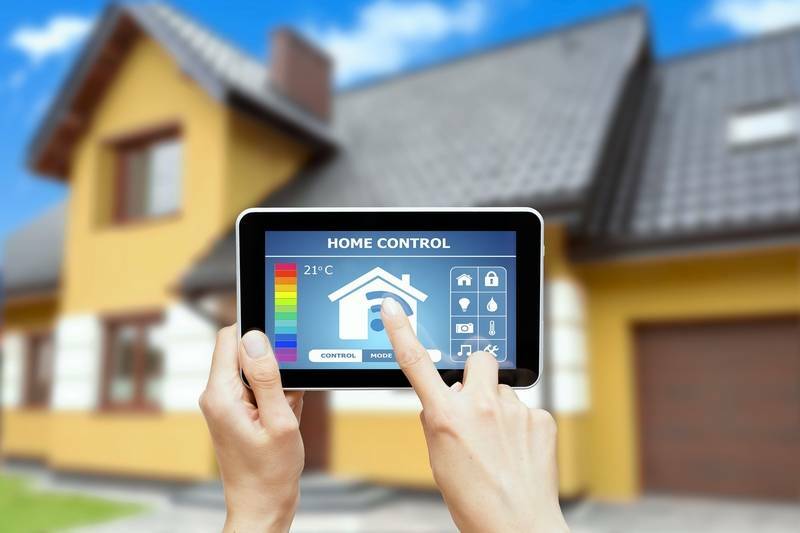 While the smart home revolution continues to evolve, more and more companies are attempting to integrate their systems with some of the latest tech already available inside our homes. 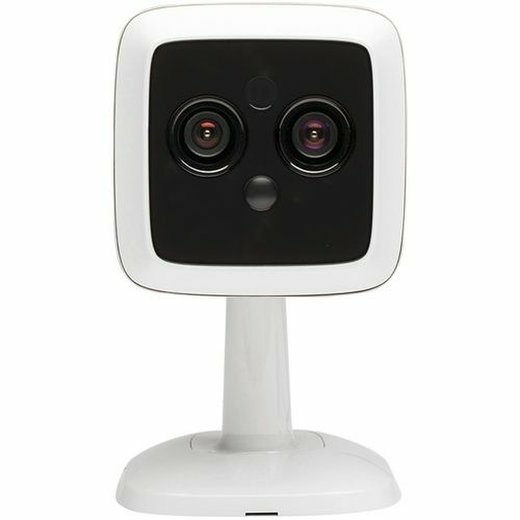 As a subsidiary of AT&T Communications, AT&T Digital Life has stepped up their game in a big way to make an impact on the home security industry. In a relatively short space of time, they have developed affordable and customizable options for consumers to enjoy. AT&T Digital Life is now the nation's second-largest wireless carrier that offers a range of products to integrate with your existing appliances and smartphone or tablet. If you are interested in making life more comfortable with the latest tech and you literally want to have your home's safety, security, and efficiency at your fingertips, AT&T Digital Life might just be the answer for you. AT&T Digital Life offers a 100% wireless home security system with professional broadband monitoring and cellular backup, full home automation capabilities, and a lifetime equipment warranty! Through their leading technology and innovations, AT&T Digital Life offers a number of features that other home security companies do not. With AT&T Digital Life, you literally take control of your home's environment - and you can do it from just about anywhere. For users to synchronize with their home security system, installation of AT&T's very popular and highly rated phone apps is required. Unlike most smart home apps, Digital Life offers a Windows phone app as well as apps for Android and iOS, which makes this system available to anyone as long as you are in their coverage area. And while Digital Life will run on any broadband connection you have, regardless of internet service provider, you will still be in touch even if your internet connection goes out. If anything happens, Digital Life uses AT&T’s cellular network to keep you connected until your internet service is restored. How would you like to arrive at work, take out your phone, and turn off the lights at home? Or how about a refrigerator that sends you a shopping list? With AT&T Digital, your home's safety, security, and efficiency is literally just a click away. All of these services are broken down into three different packages. Energy Package – includes a thermostat and two indoor smart plugs to make your home more energy efficient. Water Detection Package – includes two temperature and water sensors to guard against flooding. But customization doesn’t stop there. 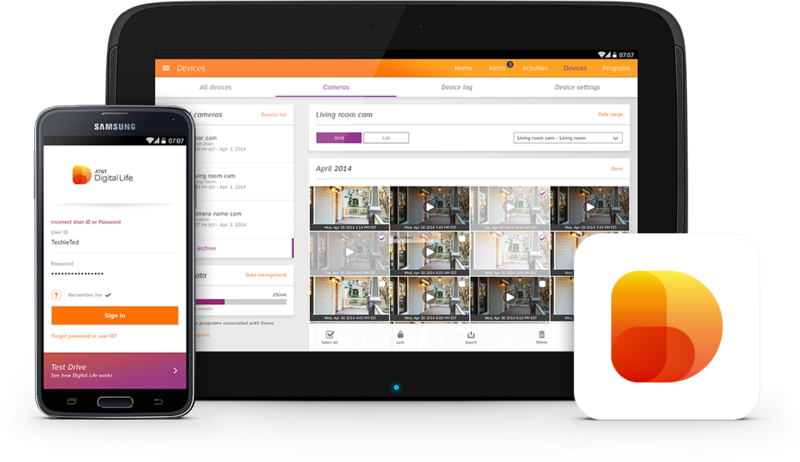 Digital Life allows you to add more options for light control, heat detection, indoor camera monitoring, and keychain remote door locks. You can try all of AT&T's gadgets out at the AT&T store before you buy the system. In some cases, if you already have wired window and door sensors from a previous system, Digital Life will let you use them instead of making you purchase new ones. Why Choose AT&T Digital Life? AT&T Digital Life brings you a digital home security system that can be ordered completely online, in an AT&T store, by phone, or even with an in-home sales consultant. They are also competitive and transparent with pricing, making it effortless for customers to understand and purchase home security solutions. 24/7 professional monitoring and an easy app to manage your home remotely, simplify daily routines, and receive text and email notifications. One of the best-packaged home security systems that you can operate from your smartphone, computer, or tablet. Total flexibility so you get exactly the home security system that best suits your unique requirements.